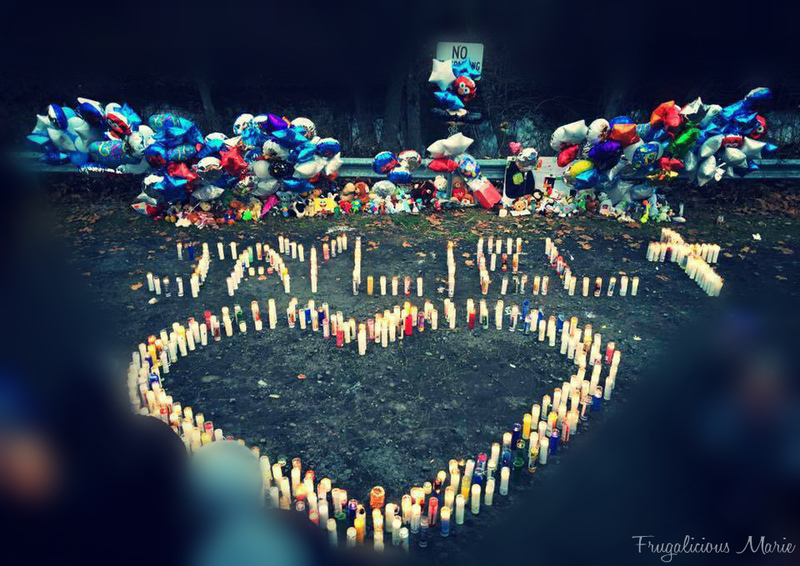 Our Community Mourns Jayliel Vega Batista. On New Year's Eve, I got a text message on my phone at 11:15 pm that a 5 year old boy was missing. He had wandered off from a family home while the family was gathered for a late dinner and get together. Being a mother to a child that is on the spectrum, this hit me harder than I thought it would. The minute my husband and I heard this news, we decided to head out and help search. My house is right along the canal so we left on foot and started the search. It was freezing out and the child had nothing but sweats and a long sleeve shirt on. He had no shoes or a coat. He also was holding a nabi tablet. Before any judgement on these parents, know that this can happen to ANYONE. This child was surrounded by family. He comes from a loving home and was constantly watched. His parents are great people with beautiful, genuine hearts. After a few hours, we headed home to get some rest and head back out in the morning. This time we were heading out early in the morning to help the family search. Friday, January 1st, 2016, my daughter and I were searching for a little over 6 hours. We searched garages, sheds, cars, woods, and along the canal. At about 6:00 PM that night, we decided to head home. We couldn't feel our toes, our fingers, our legs, etc. When I got home, I hugged my little guy a little tighter that night. My 7 year old has wandered off before and it has scared us beyond words could ever describe. Nobody knows why children on the spectrum are attracted to water, but they are. My son was up until he jumped out of my arms while on the lazy river at Dorney Park & Wild Water Kingdom. He almost drowned. That scared him and traumatized him to the point that he doesn't even like doing the kid's water slides at the water park now. You can watch that video here ---> https://youtu.be/hdD4UkRVrxY He was actually 4 years old there, about to turn 5. My husband was in Texas at the time visiting his mother so I had called him and I didn't want to sound scared so I had to change my tone of voice so that my son could tell my husband what happened. We were laughing in the video because my son said I was like a superhero and we both know how much he is obsessed with superheros and because I did say a bad word and he mentioned it but in no way was this situation funny. 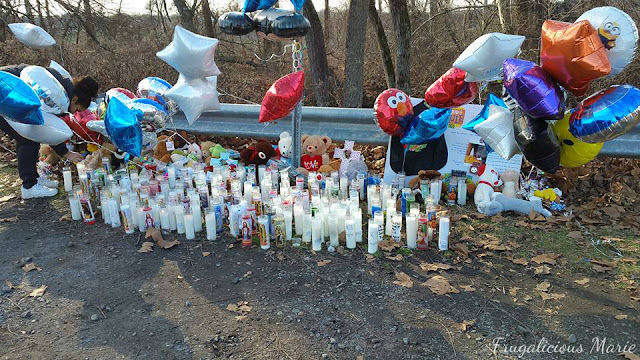 Jayliel's Nabi tablet was pulled out of the Lehigh Canal on January 2nd. His body was found about two hours later six feet away in about 8 feet of water. You can read more about how the amazing community of Allentown, Pennsylvania came together for this family in this article here --> http://www.mcall.com/news/breaking/mc-allentown-missing-autistic-boy-20160102-story.html. This story didn't have the ending we all had hoped for. Children on the spectrum have to be watched all the time. My son does not go with me to the store if I'm alone. I'm either accompanied by my husband or my daughter. He always needs two sets of eyes and that sometimes isn't always 100% foolproof. Our Police Chief and Mayor were deeply saddened and took this tragedy personal. Since the minute they were notified that Jayliel went missing, they went out and joined the search party. In the picture above, you'll see my daughter relighting the candles that blew out from the wind. In the picture below, you'll see that the family rearranged all of the candles the community brought and spelled his name with a cross and heart. His funeral was paid by by the Nico Elias Funeral Home in Allentown. The minute they heard the news that they had found Jayliel's body in the canal, they offered to donate their services. Jayliel was spotted twice that night. He ran away from those that tried to go after him. We start to paint for the next 2 hours.